BlogWomen in Church LeadershipDear Vatican, We Won't Stop. Synod final document contains many reasons for hope. "I love this church everyday, but some days I am in love…"
Even if the optics at the press briefings are superimposed to make the synod look more legitimate, what matters is who decides and what is decided. Catholic Women Speak Network launches Visions and Vocations ahead of Synod. Crispina and Her Sisters: Women and Authority in the Early Church will be published by Fortress Press in the Fall of 2017. It felt like Justice was having her day when Sr. Simone spoke as one of the panelists during the fourth annual Voices of Faith event held inside the Vatican. 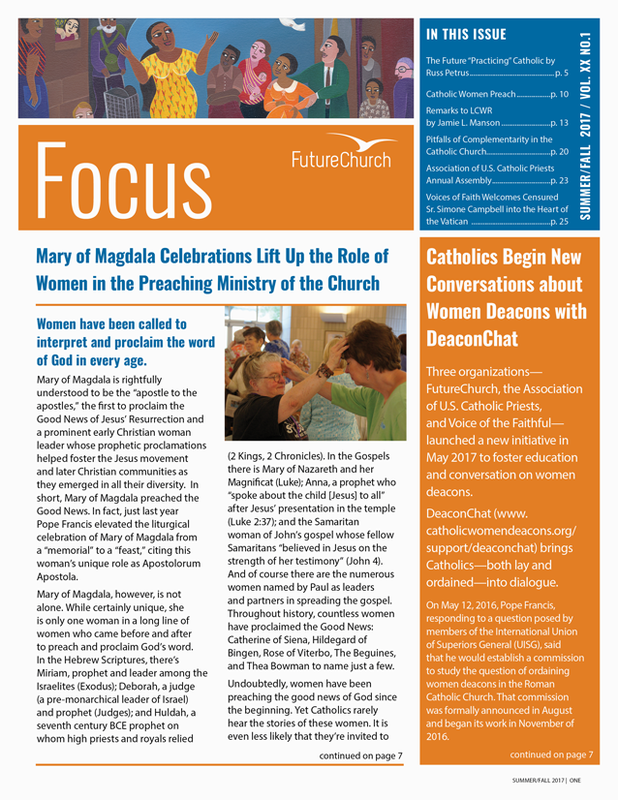 Judith Davis reflects upon FutureChurch's goal of rediscovering Mary's message for today in the Mary of Nazareth project. Voices of Faith envisions a church and a world that fully recognizes and embraces the gifts, talents and leadership of women.